AHH seminar: Evidence in hearing and ENT; trials and beyond. Bio: Anne is an ENT surgeon and a trialist. She leads evidENT, a multidisciplinary clinical research team that bridges the University College London Ear Institute’s discovery science and the Royal National Throat Nose and Ear Hospital’s clinical excellence. Her work spans the translational research pathway. Recent successes include an EU Horizon 2020 award for a phase 1/2 trial of local treatment with a Notch inhibitor aimed at restoring hearing in adults with sensorineural hearing loss. And an NIHR award for a 7-year programme of work to determine best management for patients with chronic sinus disease. 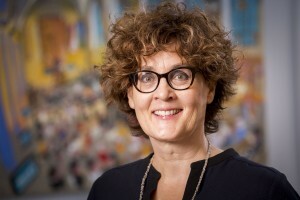 Anne is a Professor of Otorhinolaryngology at the UCL Ear Institute and at the University Medical Center Utrecht in the Netherlands and practices Paediatric ENT at the UCLH Royal National Throat, Nose and Ear Hospital. She is the Joint Co-ordinating Editor for Cochrane ENT and National Lead for the NIHR Clinical Research Network ENT Specialty. Abstract: Based on Anne’s work in otitis media and hearing she will discuss how randomised controlled trials (RCTs) have answered important clinical questions in hearing and ENT and have generated evidence upon which clinical guidelines and health policies are based. Anne will show how beyond generating data on the effects of treatments, RCTs provide a rich source of socio-demographic and biological data for prognostic and etiologic research. Throughout the research of her evidENT team they work closely with patients and their families to decide what they will be researching and how. Anne will show how through this approach they have developed the National Research Agenda for ENT, Hearing and Balance which will shape UK research in the field for the next decade. Registration: Entry is free and open to the public. Please email louise.dodd@mq.edu.au to register by 16 August 2016.